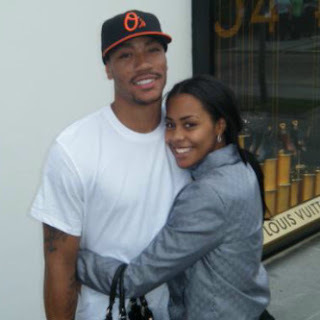 Chicago Bull Derrick Rose, 23, and Mieka Blackman-Reese, 24, are expecting their first child in October! Derrick and Mieka have been dating for 4 years after meeting at a night club in Chicago, and are reportedly very excited! Mieka's sister shared on Twitter that she enjoys "rubbing her sister's belly," which let the public know about the pregnancy. Derrick Rose purchased a condo on the 84th floor of Trump Tower last month, which cost him around $2.8 million. Their little one will grow up looking at fantastic views of Lake Michigan and the city!